As an experiment I'm glad it turn out well I'm satisfied with the recipe and I'm glad that my friend who is gluten free really like it. 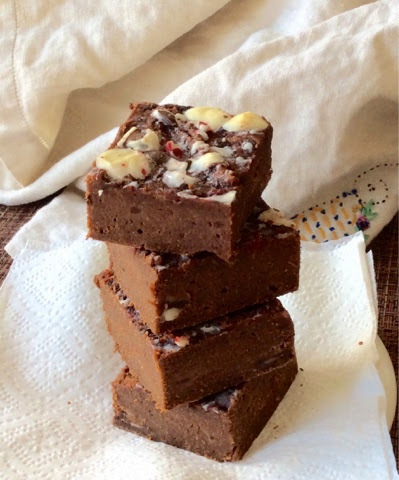 The peppermint bark topping make this gluten free brownies more tasty and colorful and I definitely will make it again and mark it as special gluten free dessert. These gf brownies look divine! These brownies look really delicious, chocolatey and refreshing at the same time! I love how you experiment in the kitchen... great use of all these flours to make it a gorgeous gluten free delight!